Rich and developing nations thrashing out a UN climate-rescue pact have moved closer on the make-or-break issue of compensation for damages caused by global warming, observers and negotiators said Thursday. Payouts for "loss and damage," as it is called, would be over and above the annual $100 billion (90 billion euros) starting in 2020 already pledged to help developing nations reduce carbon emissions and adapt to a climate-altered future. "I can see there has been a huge shift... especially on the part of developed countries," Amjad Abdulla of the Maldives, speaking for the Alliance of Small Island States (AOSIS), told AFP. Poorer nations have flagged loss and damage as a redline issue. "We came to Bonn concerned that loss and damage could stand between us and an agreement on climate change in Paris," said Julie-Anne Richards of the Climate Justice Programme, a defender of the climate rights of developing nations. "But there has been real progress on the issue at this meeting," she told journalists. 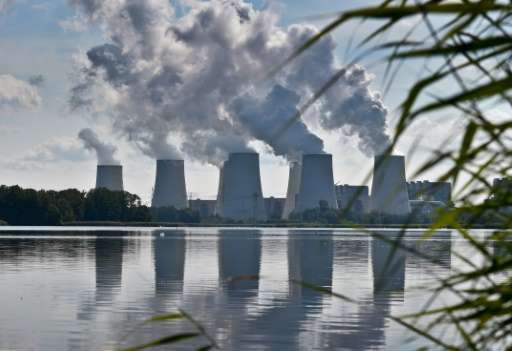 Diplomats are meeting in the former West German capital to work on the draft text for a highly-anticipated universal pact on curbing greenhouse gas emissions. The 195 members of the UN climate forum have committed to inking the agreement at a November 30-December 11 UN conference in Paris. The pact will seek to halt the march of global warming through greenhouse gas emission curbs, and to help poor nations cope with unavoidable impacts. 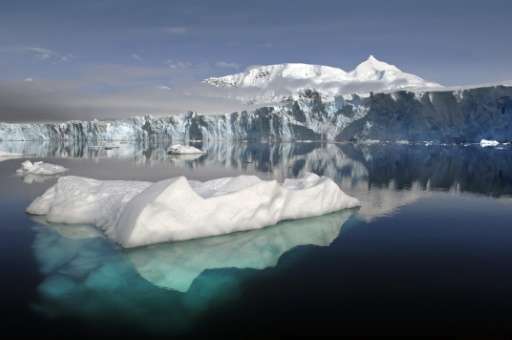 The overarching goal is to limit average global warming to two degrees Celsius (3.6 degrees Fahrenheit) over pre-Industrial Revolution levels. Negotiations on loss and damage have provoked some of the most fiery clashes so far. Wealthy countries "don't want open-ended compensation liability... that's for sure," commented Abdulla whose nation, along with other AOSIS members, could face the prospect of having to abandon their homelands in the face of rising sea levels caused by climate change. Progress at the technical meeting in Bonn has largely come in the form of a shift in position by the United States, backed by the European Union, negotiators and analysts say. In a closed-door meeting earlier in the week, two participants reported that a US delegate told fellow negotiators that "loss and damage" could be part of the Paris package—a sharp change from previous meetings. The US and EU also agreed in principle to keep in place the so-called Warsaw Mechanism—the only existing instrument for "loss and damage"—beyond 2020, when the new agreement will enter into force. The mechanism was adopted at a climate conference in Poland in 2013, and developing nations had feared it would simply be allowed to expire. The US and EU did not respond to requests to provide details on their new loss and damage proposal. Negotiators and observers hailed the advance on a particularly thorny issue, but cautioned that many fundamental differences remain. The final Paris climate deal will likely consist of two parts—the first a "legal instrument" outlining core principles and an annex document of "decisions" that would not carry the same legal weight. Developing countries loss and damages to be enshrined in the main agreement, an idea strongly opposed by most developed nations.